Elvis Presley passed away forty years ago today. He was the hillbilly cat of the mid-1950s, who brought a hybrid of Blues and Country called Rock and Roll to the mainstream. Our music history is filled with legends who credit his Heartbreak Hotel single as their baptism into the world of electric guitars and dreams of stardom. Both Paul McCartney and Terry Gilliam (Monty Python) listed the song on their BBC Desert Island Discs. McCartney called Elvis their "messiah" and George Harrison said the song was a Rock and Roll epiphany. John Lennon said, "When I first heard Heartbreak Hotel, I could hardly make out what was being said. It was just the experience of hearing it and having my hair stand on end." And Keith Richards (Rolling Stones) and Robert Plant (Led Zeppelin) also sited the song as a turning point. I first discovered Presley about seventeen years after his rise to stardom. And even at that point, Heartbreak Hotel was the song that drove me to a life-long passion for playing electric guitar. Carefully picking out the riff and solo by ear, it was the first tune I learned. Neat family trivia: I learned recently that my maternal grandmother, a professional singer, was managed by Colonel Tom Parker in the early days! Despite Elvis' wide influence, however, I never really did become an Elvis fan per se. I was far more interested in The Beatles, the British Invasion, and the original Blues masters. But for many, he was the king of Rock and Roll. I suppose my distance as a kid might have been due to seeing him as a then-current cultural icon in the throws of his Las Vegas years of the 1970s. Where was that fiery young blues fan I heard in Heartbreak? His post-Army career (he served 1958-1960) in the 1960s was lucrative and filled with movie deals, but the years also marked the beginning of compromise. Like any powerful force that challenges the status quo, 1950s rebel-Elvis was acculturated and stripped of his potency by becoming a mascot to commercial and mainstream goals. It's interesting to note that even his final appearance on Ed Sullivan in 1957 had to be filmed from the waist up in order to censor his provocatively swinging hips. His string of films seemed to mark a trajectory from method-actor-wannabe in 1956 to posing onscreen with a fake guitar like a cartoon of himself by 1969. And by the time I saw him on television in the 1970s, that cartoon version had graduated to the full glitz of Vegas showbiz. Yet I've always found an interesting crossroads point in his 1968 Comeback Special. 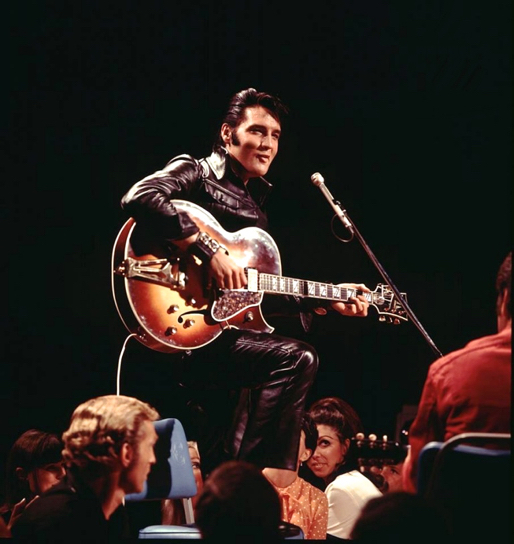 Although the program included some glitzy numbers, it also included segments of Elvis sitting around with jamming his band in intimate, "Unplugged" style. Elvis seemed to relax a bit and the rebel was allowed to reemerge. I loved their version of Jimmy Reed's Baby What You Want Me To Do. Elvis just seemed to throw himself into the guitar playing and the groove. My old guitar students will recognize the arrangement- this is where I got it, folks! Another highlight was when he did a take of One Night. The original lyrics, which lamented "one night of sin is what I'm now paying for" had been watered down early in his career to make the song more radio friendly to "one night with you is what I'm now praying for." But Elvis got carried away in the fun of the '68 jam and let slip some raunchier lines: "The things I did and I saw would make the earth stand still." Hey, this kind of personal confession was hot stuff in the old days! Even his guys shouted their encouragement when they hear what he'd done, just as they had, in fact, shouted, on the original recording. Watching the '68 Special, I always wondered if Elvis could have made a different decision about where to take his career after that. 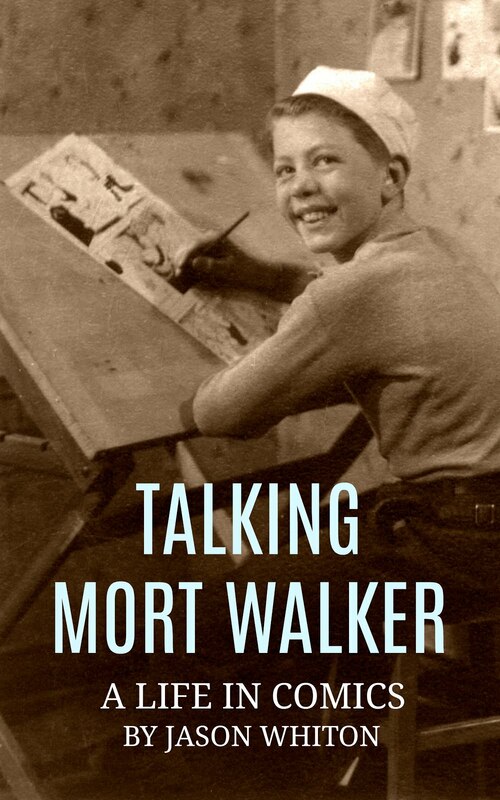 Maybe he could have reclaimed his edge and been a rebellious role model in the late 60s? Or at the very least, perhaps he could have enjoyed his days rocking out with Scotty Moore and his band, reminding us all that he could sing and play- and that he meant every word. He seemed to be at a crossroads. But Elvis didn't go down that road. Instead, the last scenes of his story were played out in Vegas rhinestone splendor, with his sad decline into addiction to prescription drugs, poor health, and an early death at forty-two. I believe Elvis had some good moments left in him after the '68 Special, and I don't want to take away from the enthusiasm his fans still felt for him, but this was the last time we'd see the leather-clad rebel who had started it all for so many fans and musicians back during the first wave of Rock. The '68 Special is currently out-of-print, but hopefully fans will be treated to a 50th anniversary edition next year? In the meantime, check out some clips below. 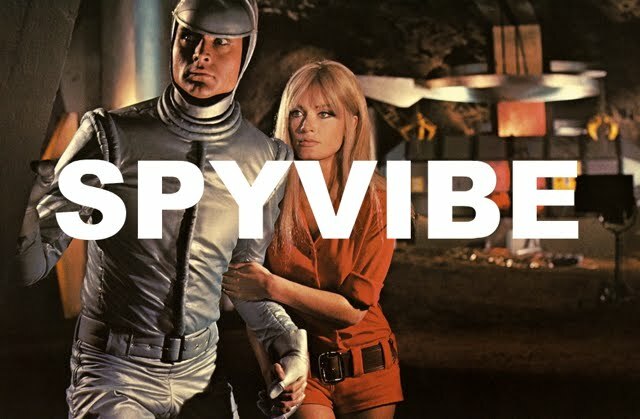 In other news, my episodes of the Cocktail Nation radio show from Australia are now live: Episode #1(Danger Man) and Episode #2 (The 10th Victim), Epsiode #3 (On Her Majesty's Secret Service) Episode #4 (Roger Moore/The Saint), Episode #5 (The Avengers). And coming soon- Episode #6 (The Prisoner). Enjoy! 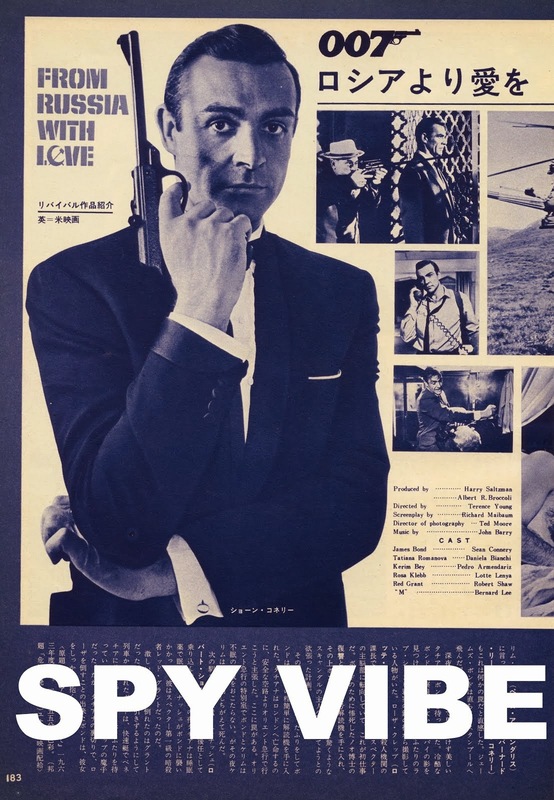 Selected Spy Vibe Posts: Jack Kirby The Prisoner, Casino Royale Concert, Review: The Prisoner Vol 2, Interview: The Prisoner Essential Guide, Maud Russell Mottisfont, Spy Vibe Radio 4, Batman Gallants, Adam West R.I.P., Village Triangle, Roger Moore R.I.P., Spy Vibe Radio 3, Sgt Pepper 50th, Satanik Kriminal OST, 60s Overdrive, Make Love in London, Spy Vibe Radio 2, Spy Vibe Radio 1, James Bond Strips, Propaganda Mabuse, Interview: Police Surgeon, XTC Avengers, 1966 Pep Spies, Batman Book Interview, Exclusive Fleming Interview, Avengers Comic Strips, Robert Vaughn RIP, UNCLE Fashions, Thunderbirds Are Pop!, Interview:Spy Film Guide, Lost Avengers Found, The Callan File, Mission Impossible 50th, Green Hornet 50th, Star Trek 50th, Portmeirion Photography 1, Filming the Prisoner, Gaiman McGinnins Project, Ian Fleming Grave, Revolver at 50, Karen Romanko Interview, Mod Tales 2, Umbrella Man: Patrick Macnee, New Beatles Film, The Curious Camera, Esterel Fashion 1966, Exclusive Ian Ogilvy Interview, 007 Tribute Covers, The Phantom Avon novels return, Ian Fleming Festival, Argoman Design, Sylvia Anderson R.I.P., Ken Adam R.I.P., George Martin R.I.P., The New Avengers Comics, Trina Robbins Interview, The Phantom at 80, 007 Manga, Avengerworld Book, Diana Rigg Auto Show, The Prisoner Audio Drama Review.